Lombardy, Italy’s most populous region, has just enacted a law that seems to be designed to make life for Muslims as hard as possible. On January 27th, the Council of the Lombardy Region has enacted amendments to the Regional Law that regulates the planning of buildings and other structures for religious purposes. These amendments make it extremely cumbersome to build new places of worship for all non-established religious denominations, particularly Muslims – while the still dominant Catholic Church remains exempted from the regulation. Discrimination is not the only aspect of the new law that makes its constitutionality look more than questionable. The new law requires, briefly speaking, a local agreement between the representative bodies of the denominations and the territorial municipalities to obtain an authorization for the religious building. Several conditions apply: on one side, the denominations (important, not their representative bodies) must have an extensive, consistent and organized presence in the municipality where the new building is located. The law requires every denomination to express clearly the religious nature of its institutional purposes as well as to observe the principles and values of the Italian Constitution. In this regard, the new norms provide to establish a new Regional Consultation Agency (RCA), whose (positive) preliminary evaluation is mandatory. On the other side, the law requires the municipalities to conduct a survey, obtaining the advice of many local bodies, like citizens' organizations & committees, members and representatives of the local police as well as of the HQ district police, the prefecture, in order to assess – it reads – «all the possible aspects of public safety». The municipalities are also entitled to announce a referendum on the matter, but it is not clear whether the result of such a consultation is binding or not. Furthermore, the consequent Religious Urban Plan (RUP) must be approved within a period of 18 months from the date of publication of the RL 2/20015, and – more – it is requested that the RUP specifies the proper size and the exact place of the areas for buildings. Finally, the law requires the RUP to contain and explain in detail some provisions, dealing with other conditions such as roads, infrastructure works, distances, parking, video surveillance systems, toilets, access for the disabled. Last but not least, the law requires that the «dimensional and architectural proportion of the building ”is“ related to the characteristics of the landscape of Lombardy» – which can be read as specifically targeted at minarets. The constitutionality of this complex regulation is dubious for a number of reasons. Already the competence of the Region is questionable, as the regulation seems to go far beyond the regional competences for urbanistic matters and to reach into relations between the State and the religious denominations which the Constitution puts expressly into the exclusive jurisdiction of the central state (Art. 117, par. 2 letter c). Moreover, even assuming the urbanistic nature of the norms, the new rules introduce too strict terms to accomplish all the predicted conditions and arbitrary or unnecessary evaluations by the political and administrative authority, such as to aggravate or even make impossible to complete the authorization process. Even at a glance, in fact, the numerous formal conditions seem to confer a very wide discretion on the political authority. In addition, the law does not lay down any time limit for a refusal of authorization, nor requires a valid reason in case of a refusal. More in detail, one might wonder what criteria and rationales the newly established RCA might use to make a judgment about the local conditions, organizational and quantitative, of the denominations at stake. The Italian Constitution affirms the right of the denominations (other than the Catholic Church which is covered by Concordat law) to organize themselves on the basis of rules and statutes, with the only limit of Italian law (art. 8, par. 2). This guarantee covers both the process and the result of the organizational activity. Every interference must be justified on grounds of public law and cannot just theoretical, ideological and preconceived grounds (see the decision of the Italian Constitutional Court 195/1993). Furthermore, the principle of rationality of administrative action (art. 97 of the Italian Constitution) seems hard to reconcile with the extremely onerous or even useless condition requiring a preliminary advice on public safety by the police, citizens’ committee and other public authorities. The possibility to hold a referendum about the erection of places of worship of minorities’ religions is a means to further delay the process. Finally, the rule providing for the buildings to be – so the norm reads – in dimensional and architectural proportion to the «general» and «special» characteristics of the landscape of Lombardy suggests an excessive discretion of the administrative authority. Although the introduced changes are apparently formulated in neutral terms it is actually a blatant attempt to discriminate against minority religions. While norms dealing with the Catholic Church (art. 70 RL 12/2005) expressly provide that Regions and municipalities must promote the realization of the Catholic buildings, the recent rules essentially aim to restrict the grant of authorizations, to control and oversee the activities of other religious groups. This distinction derives from the logic of relationships between the religions and the State drawn into the Italian Constitution. Broadly speaking, although the Constitution recognizes a system in which all the religious denominations are “equally free” before the law (article 8, par. 1), the religious communities may sign a formal agreement of cooperation with the State, in order to regulate some features of the public life of the faithfuls, like places of worship. The Catholic Church has concluded a “Concordat” in 1929, which was renewed in 1984. By contrast, only a part of the other religious denominations settled in Italy has entered into an agreement with the government (among others, Jewish Communities, Evangelic Union, Lutheran Church, Hindus and Buddhists). The Islamic community tried to conclude such a pact too, however a series of problems prevented the signing. The most relevant was the difficulty to determine a single association that represents all the Muslim communities living in the country. So, the rules just enacted apply to both the denominations that have entered into an agreement with the State and the denominations which lack any kind of relationship with the State, when claiming to construct places of worship into the territory of the Lombardy Region. As we said, the new rules do not touch the Catholic Church, whose position continues to be regulated by art. 70 of the RL 12/2005. Beyond the bureaucratic terminology, the new set of rules concerns, among others, the issue of new mosques in Lombardy. Lacking the protection of the specific rule of the agreement with the State, mosques are still considered as “cultural associations” so that the related claims of Muslims are actually regulated by the principles of the Constitution and the other rules of public Law. Every legal scholar is fully aware of the fact that, unfortunately, discrimination for religious reasons has a consistent and specialized tradition. From this point of view, it might appear surprising that the new rules have been approved on January 27th, the very day which internationally celebrates the Commemoration in Memory of the Victims of the Holocaust. As many other countries, Italy has introduced by law this anniversary in 2000: hence, that day celebrates – every single year – the discrimination suffered by Jews for religious reasons during their history, so that «similar events never happen again». In fact, the history of the Jewish people can be considered a sort of handbook of discriminatory practices, but – surprisingly – some of the just introduced rules bring to mind the measures already tested against the Jews during their troubled history. The complicated administrative procedure to authorize the construction of new mosques, and the limits to changes the utilization of the existing building are resemblances of the rules issued by the Christian emperors of the fifth century which prohibited the construction of new synagogues as well as the renovation of the old ones (C. Th, XVI, 8, 25 Synagogae de cetero nullae protinus extruantur, veteres in sua forma permaneant). The particular requirement of the «dimensional and architectural proportion of the building according to the characteristics of the landscape of Lombardy» (which in practice concerns the problem of minarets) seems not so dissimilar from the Islamic decrees of the Middle Age forbidding synagogues to overtop the surrounding buildings, especially mosques. Beyond the historical analogies, as contentious – we admit – as distressing, our aim is to emphasize that the principle of religious freedom needs equal and widespread protection. When we look at the contents of the new rules, though, we may wonder if the lawmakers were aware of the constitutional and international principle of equal freedom of all religions (art. 8, par. 1 of the Italian Constitution; art. 9 ECHR); we may also wonder if they actually share the hope that the most odious forms of religious discrimination should no longer be realized; finally, we may guess if they intend to apply those assumptions “selectively”, admitting different treatment between denominations, on the base of a political and cultural discrimination. 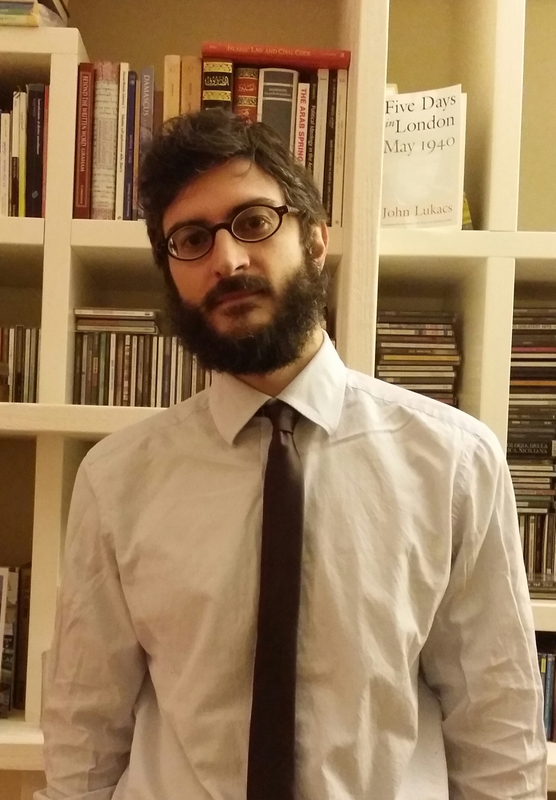 SUGGESTED CITATION Anello, Giancarlo: The “Anti-Mosques” Law of Lombardy and Religious Freedom in Italy, VerfBlog, 2015/2/24, https://verfassungsblog.de/the-anti-mosques-law-of-lombardy-and-religious-freedom-in-italy/. There is no freedom in Islam therefore it has no place in a free society! Besides, it is not a religion it is a social and economic ideology that does not work!